Economy - Style is Possible! Did I say Banff accommodations economy style? Yup. I know, you don't want to break the bank, but you do want to enjoy your hotel as much as the rest of your holiday. How can you do that in Banff? Well, cheer up. What do you require in an accommodation? Maybe you'd like to do some cooking and/or eat breakfast in with your family - kitchenette suites are great for that. Beds? Well, they are a given. Spa? You can always go out and get that if the budget allows!! Here are some great places to stay at prices that aren't outrageous. The Aspen Lodge features 89 rooms with satellite TV, clock radio and a coffee maker. Enjoy their Rocky Mountain Continental Breakfast including delicious baking with your stay! Hotel amenities include a large outdoor hot tub, sauna and steam room. Gift shop and free parking available. For a fee guests can take advantage of wireless internet, a public internet kiosk, and laundry facilities. This cozy little inn has 18 rooms, many with gas fireplaces and jetted tubs for a very relaxing stay. From queen rooms and suites to family suites, there is a layout for every type of guest! The Honeymoon Suite is a special treat! Enjoy a complimentary continental breakfast, free parking, wireless internet, local newspapers as well as a guest barbecue & patio. 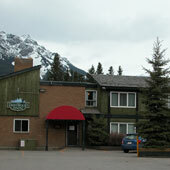 The Banff Inn features a variety of rooms and suites right on Banff Avenue. Hotel amenities include indoor whirlpool, steam room and sauna as well as complimentary wireless internet. Enjoy the complimentary continental breakfast to give you a great start to an adventurous day! Heated underground parking is also available. Need a hot stone massage or a manicures? 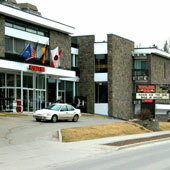 The Banff Inn can provide you with these and many other treatments at their Uptown Spa. 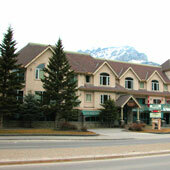 The Banff Voyager Inn offers reasonable rates for a great stay. The guest can choose from standard and premium rooms to family and loft suites. Room amenities include air conditioning, coffee maker, hair dryer, cable television, telephone with data-port and voicemail and free high speed internet. You can take advantage of Banff's only year-round outdoor heated swimming pool, as well as the indoor whirlpool and dry sauna!! Conference and wedding facilities available. Restaurant is on site. 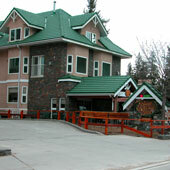 Situated directly beside the Bow River, the Bow View Lodge offers 25 river-view rooms with either 1 king size bed, 1 queen size bed or 2 double beds, and 29 standard rooms with either 1 king size bed or 2 double beds, as well as three family rooms, with separate bedrooms for larger groups. 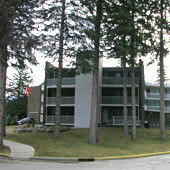 Guests have access to all facilities at the Banff Park Lodge. Free outdoor parking or paid indoor parking available. Wireless Internet available at a fee. Great for families, this hotel offers 57 rooms, including guestrooms, kitchenette suites and split level loft suites with fireplace. Hotel amenities include steam-room and whirlpool, an indoor saltwater swimming pool as well as free parking (with plug-ins for cold winter days!). Room amenities include iron and ironing board, coffee maker, tea kettle, fridge, hairdryer, cable TV, private bathroom with tub/shower and cozy bathrobes. 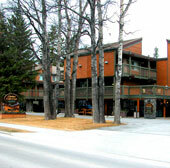 The Driftwood Inn offers 32 rooms with mountain feather beds and free wireless internet. This hotel is pet friendly!! 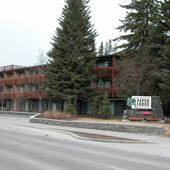 Guests have access to all facilities at the Banff Ptarmigan Inn. Irwin's Mountain Inn features 65 rooms, all the way from standard to deluxe suites. Most rooms are wheelchair accessible, one being especially designed to meet the demands of the physically challenged. Hotel amenities include jetted tub, fitness centre, sauna and steam room, underground parking, free continental breakfast, free wireless internet and coin laundry. Conference and meeting facilities available. PLEASE NOTE: The prices stated here were at the time of writing and may have changed. These prices cannot be quoted or guaranteed and are merely given to you as an "estimate" to aid you in the planning process. Do the listed prices include the 2% Tourism Improvement Fee, the 4% Room Levy Tax and 5% GST (Goods & Service Tax)? Are the rates based on single/double/triple occupancy? Is there an extra per person charge per night? Do children under 16 years of age stay free when accompanied by a parent? Is there a maximum room occupancy? Is there a minimum night stay requirement at this time of year? How can I guaranteed my reservation? Is a deposit required? What is my confirmation number for my reservation? When do cancellations have to be received to avoid late/cancellation charges? How much are late/cancellation charges? Remember that rates are based on availability at the time of booking and are subject to change at any time without previous notice.